The Bean is essentially a hybrid model offering an exciting alternative to riding more traditional shortboard designs. 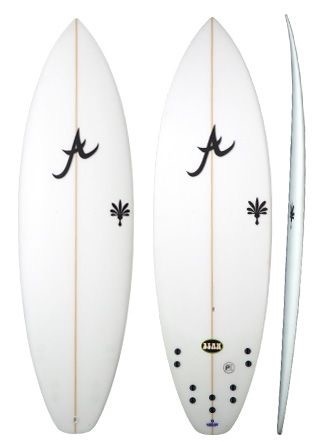 Appropriately named, the Bean has a full nose template and added width through the centre which transitions smoothly into a tail outline typical of a standard shortboard. The unique shape of the Bean, combined with the relaxed full-length rocker profile, provides a platform for efficient paddling, quick start-up acceleration, and flow in fuller waves. The Bean also delivers exceptional performance in bigger conditions, proving the true versatility of this model. Fast and full of spark as a thruster or a quad; the Bean offers acrobatic performance in the smaller sizes, and reliability in the higher volume sizes. As a general rule you can ride the Bean 3-to-6 inches shorter than your regular shortboard.